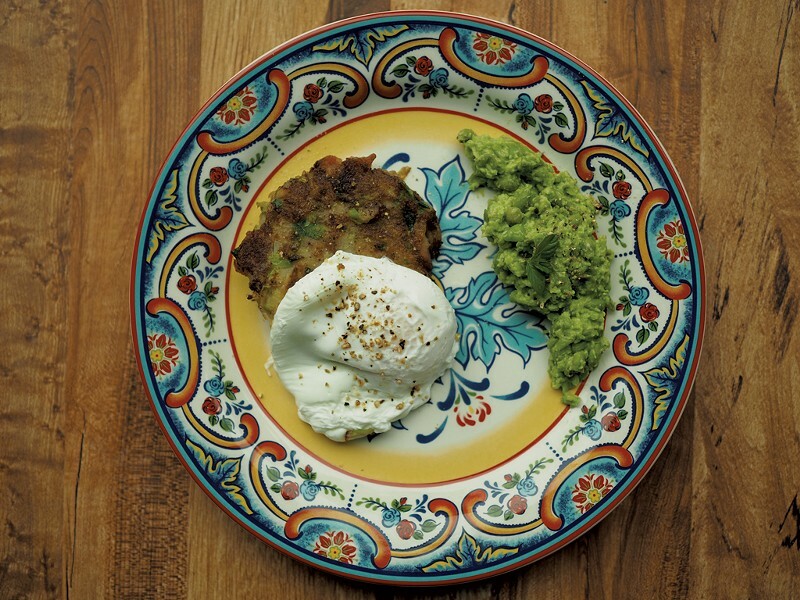 Bubble and Squeak & Mushy Peas: Oddly Named, Delicious English Specialties | Mealtime | Kids VT - small people, big ideas! The British are not exactly known for their haute cuisine. In fact, if you ask someone where to get good food in England, they might direct you to an Indian restaurant. However Brits do have a few famous dishes, and they often have truly colloquial names. Take bubble and squeak. Though it may sound like something straight out of a witch's cauldron, à la Macbeth, it's actually a pan-fried mixture of leftover vegetables from a roast dinner, named for the sound of frying cabbage. 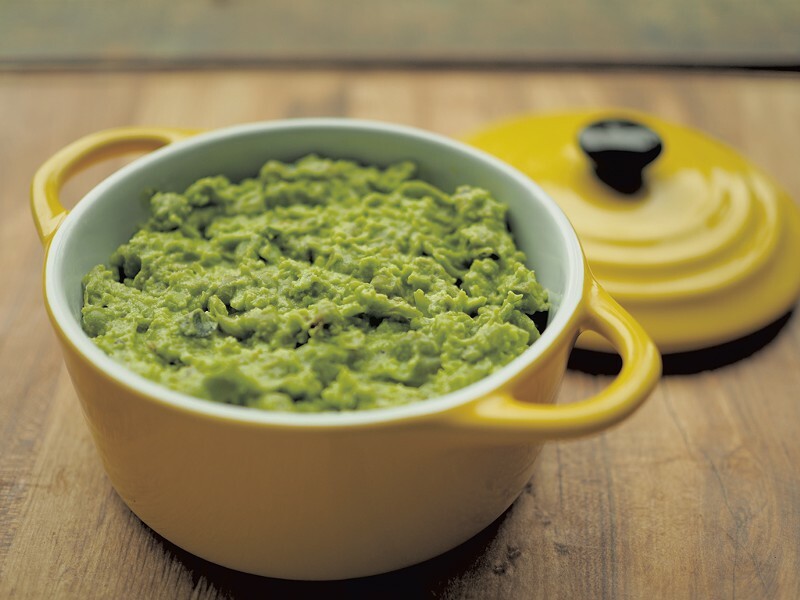 Then there are mushy peas — a traditional accompaniment to fish and chips, ideally served with a splash of malt vinegar. The name calls to mind overcooked, bland baby food, but the side dish can actually be quite verdant and tasty, especially when spiked with lemon and mint. On a recent family trip to the United Kingdom — my kids' first foray into overseas travel — we had a chance to try mushy peas, along with many other local specialties (and, yes, we also had spectacular Indian food). Alas, it wasn't the right season for bubble and squeak, so we didn't get to sample the authentic version. But I did talk to local folks and read through recipes, and I believe that my version sticks pretty close to the traditional one. The mushy peas we tasted on our trip ranged from something akin to thick pea soup (probably made the traditional way, with dried marrowfat peas) to a bright, flavorful purée. We all preferred the latter preparation, so that's the recipe I tried to emulate. I served the peas right alongside my bubble & squeak patty, topped with a lovely poached egg, another item we ate many times on our trip. Despite its reputation, we were mostly impressed with the food we encountered in the UK. 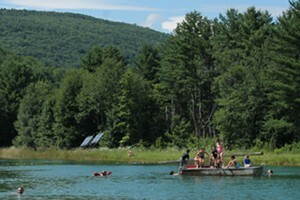 Much like in Vermont, we found that people were passionate about locally sourced, fresh ingredients, which makes a huge difference in the final product. If you can't take the jaunt across the pond yourself, try this culinary journey instead. Boil peas in water, with butter, until quite soft, about 10 minutes. Mash together with lemon juice, mint, salt and cream until they are mostly puréed, but a few whole pea pieces remain. Serve as a side dish. Peel potatoes and cut into approximately one-inch pieces. Boil in salted water until soft, about 15 minutes. Mash and set aside. Preheat a large cast-iron or nonstick frying pan to medium heat and add bacon. As it begins to brown, add onion and garlic and cook until fragrant. Next add the Brussels sprouts or cabbage. Cook, stirring occasionally, until slightly browned, about 5 minutes. Transfer the mixture to a bowl, add the cooked potato and pepper, and mash together until blended. Form into patties, about three inches in diameter. Add about 1 teaspoon of butter to a frying pan, on medium heat. Once butter is melted, fry the patties in batches, until nicely browned, about three minutes per side. Serve as a main dish, a side or even as breakfast, topped with a poached egg.